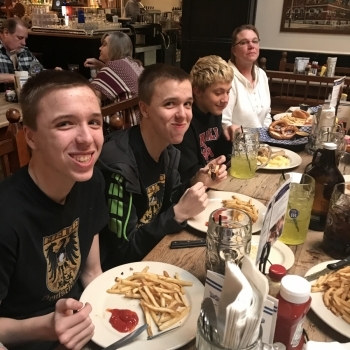 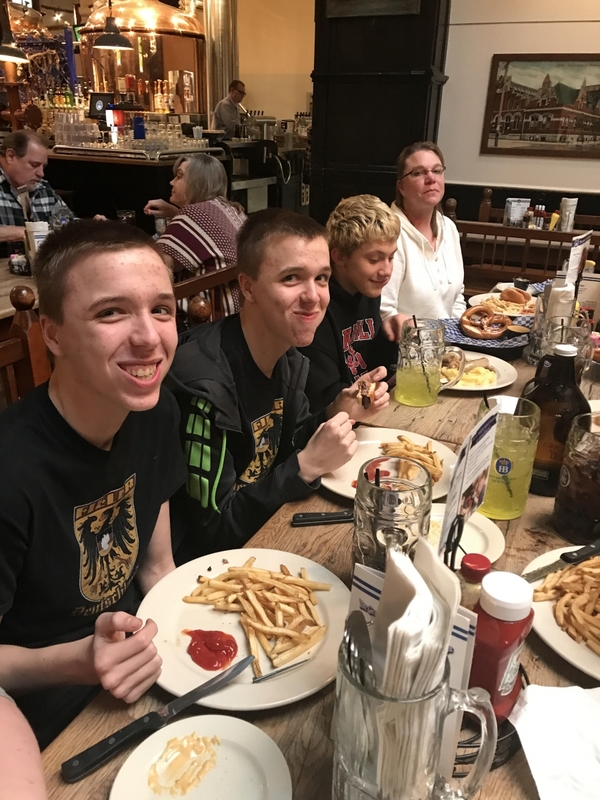 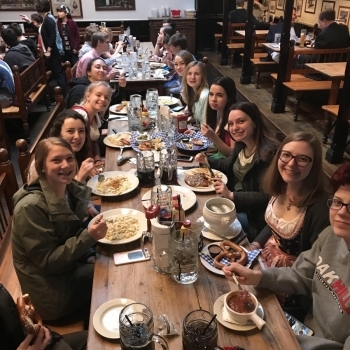 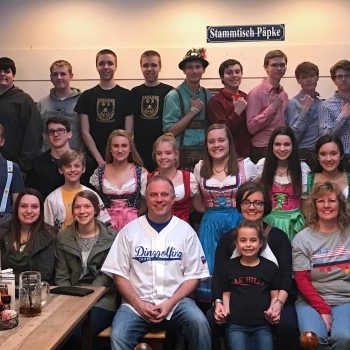 On Monday night March 19, 2018, the Oak Hills German Klub enjoyed dinner at the Hofbräuhaus in Newport. 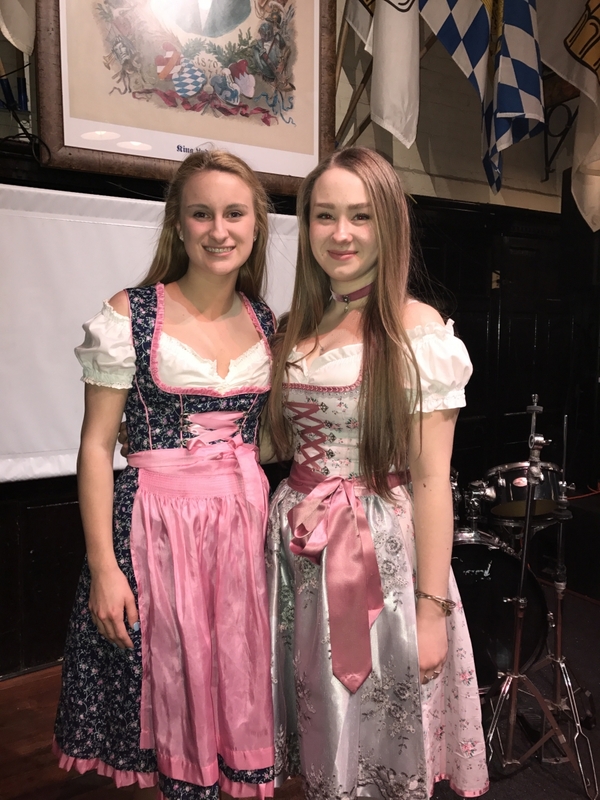 The night was organized by president Hannah Baldwin, a junior at OHHS, and vice president Abby McElwee, a senior. 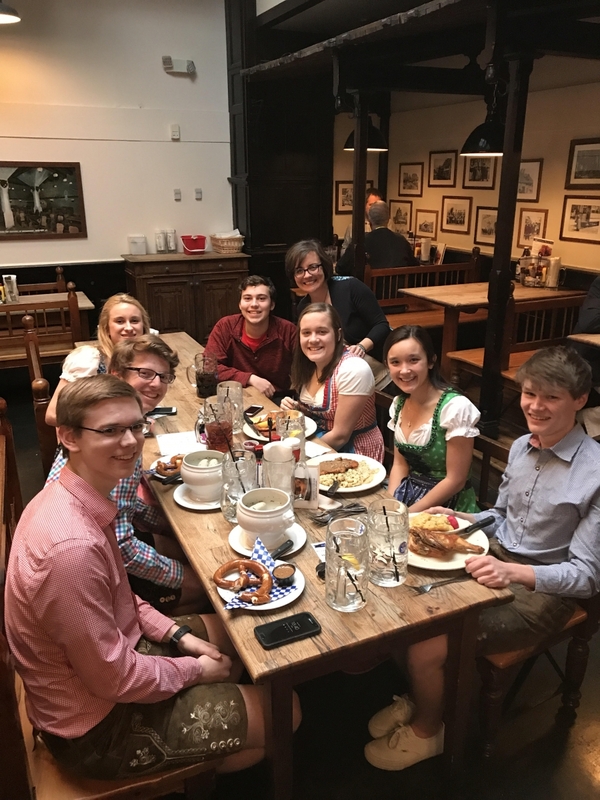 Students who participated in the 2017 Dingolfing German exchange program even dressed up in the Bavarian outfits of Lederhosen or Dirndl. 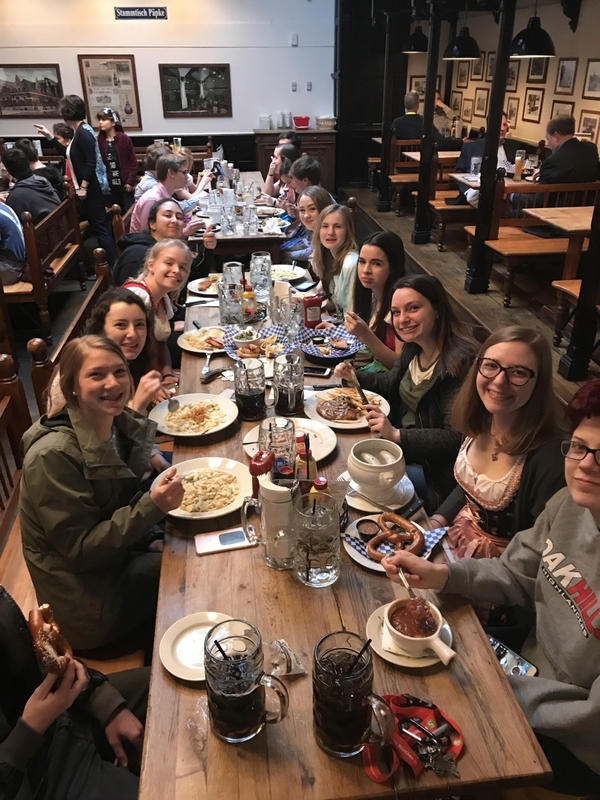 An amazing time was had by the 30 students who participated. 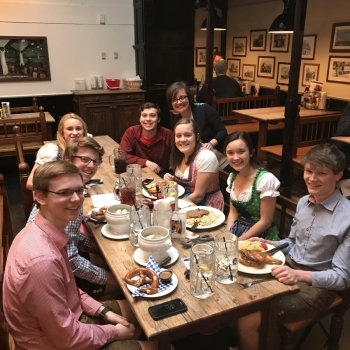 It was exciting to see two former German students working at the restaurant that night.